British weather can be hit and miss throughout the year, but once the summer weather arrives, it can almost be as desirable as any tropical destination or European city. It’s the perfect time to get outside and truly enjoy the British summer time. Make the most of what is on your doorstep today. There are many events taking place throughout the country, but especially in the capital. London events are typically ones to truly remember. 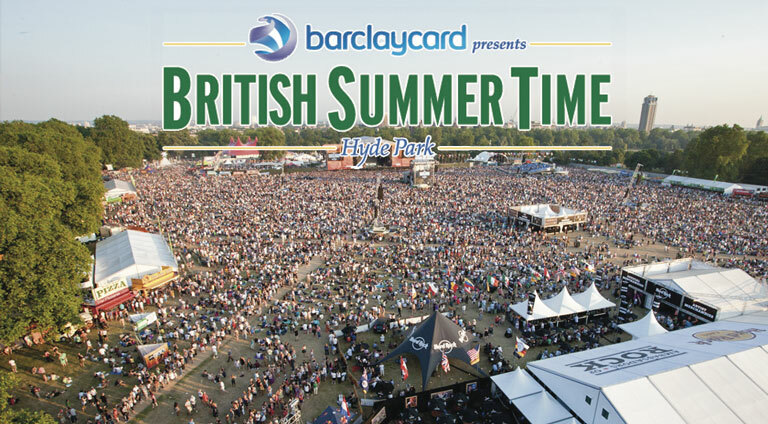 Hyde Park has lots of exciting and highly-anticipated events taking place throughout July in partnership with Barclay Card presents British Summer Time. This includes performances by Green Day (July 1st), Justin Bieber (July 2nd), Joe Wicks The Body Coach (July 5th), Kings of Leon (July 6th) and The Killers (July 8th). Along with lots of top musical performances, there’s also a range of artisan traders and restaurants for you to try and themed bars with drinks ranging from real ale to cocktails. You can bring picnics to enjoy in the main event, but for anything ticketed or access-controlled, you can only eat and drink items sold at Hyde Park. BST Hyde Park is a fully standing ticketed event, so expect lots of crowds and plenty of dancing. There’s also no re-admission, so once you’re in, you’re in. As such it’s important to plan ahead. There are a number of ways to get to BST Hyde Park, including buses and trains. The postcode for the event is W2 2UH. You can also cycle, use coaches or park your car – however, it is recommended that you avoid visiting by car where possible. For convenient and hassle-free travel, you may want to consider using a chauffeur service. You’ll be able to get back from the event without needing to worry about what trains or buses you need, and won’t have to fight for a seat, or battle with the humid heat in non air-conditioned spaces too. You’ll be able to go from door to door quickly and easily, meaning you can also have as much to drink as you fancy without needing to worry about getting home. Whilst in London, you may also want to use your chauffeur service to visit other key attractions before or after your ticketed event. This may include Wimbledon, which is taking place until 15th July, along with many other ticketed events, such as Lion King, Les Miserables, The Phantom of the Opera and Wicked. Plus there are also hundreds of restaurants to try all over the city, ranging from cheap and cheerful to Michelin-star. Some of the other popular tourist attractions that you can try when you travel to London include the British Museum, National Gallery, Victoria and Albert Museum, Tower of London, Big Ben, Tower Bridge, Houses of Parliament, and the Churchill War Rooms. When looking to plan your journey into London this summer, it is always best to be prepared. If you are looking to get a train, you may be able to get discounted tickets when you book in advance or as a group. However, if you’re interested in having a private chauffeur to take you to BST Hyde Park, then get in touch now to secure your booking and get the best competitive rates on the market.